Ahhh life and all the stuff that happens. It’s no surprise that our streets aren’t safe. Last Sunday my wife was walking with my daughter to cross Riverside drive to head to the coffee shop. She’s always extremely cautious here seeing that she was almost run over in the crosswalk years ago. 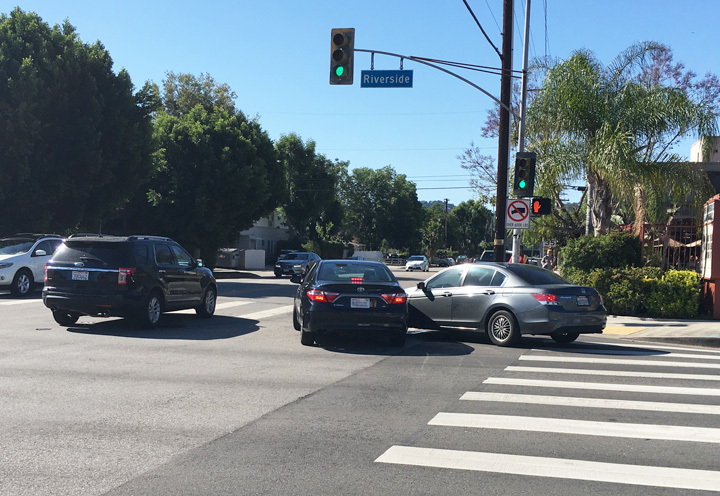 Before she reached the intersection, she noticed a car to her left was stopped just beyond the crosswalk. It looked like someone wanted to make a left, but never completed the turn after the light went red. Normally, the car would be blocking oncoming traffic, but this was a Sunday and there happened to be none at the same. And oh yeah, the driver was sitting there texting. By this time, my wife reached the corner right as the signal went red for her meaning the light was now green for our driving is secondary friend. 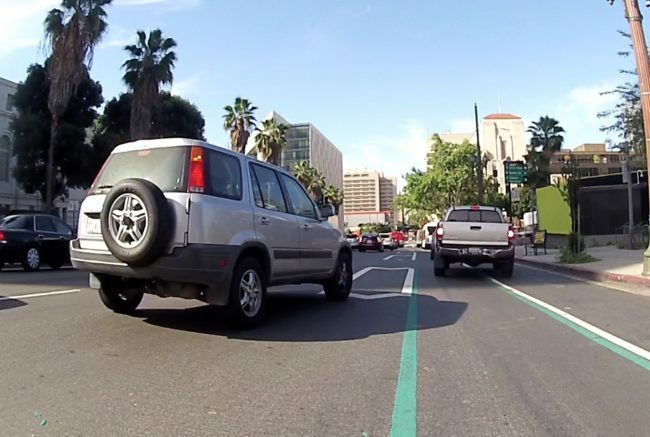 With her eyes still focused on the phone, she pulled out even further into the intersection and then blindly turned into oncoming traffic and you can guess what happened next. The drivers got out and argued because none of them were in the wrong. We know that isn’t true. I wasn’t free and clear myself this week either. I was heading to work Wednesday going through that chaotic stretch ride in front of City Hall. 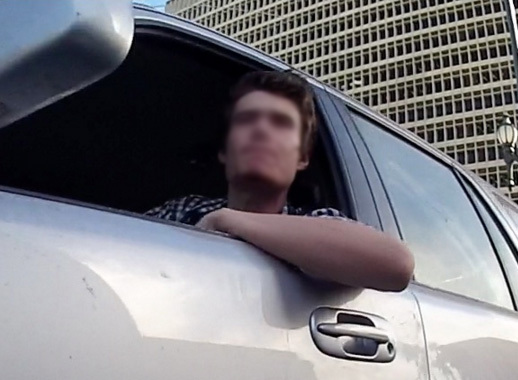 A driver in front wanted to duck into the far right even though he didn’t signal and he was merging where the lines indicated he shouldn’t, yet this guy decides to yell at me and lay into his horn. You shouldn’t stop and confront people, but seeing how I wasn’t going anywhere and I’m at the densest place in the city for surveillance and cops, I thought I’d have a word with the fellow. Despite all the insults the guy we throwing at me, I just simply told him he was wrong, he was harassing me and I’ve got two cameras rolling to prove it. Things got pretty silent after that. Contrast that with the following day when I got an email from Randall Fleming about almost being rundown by a Metro driver. He had some photos of the van and driver, but without witnesses, it’s just a his word against mine case. The best piece of advice I could give him was that he had to get a camera to remove all doubt. Hopefully, enough of us will have them that drivers get the idea that they’ll think twice about their actions.